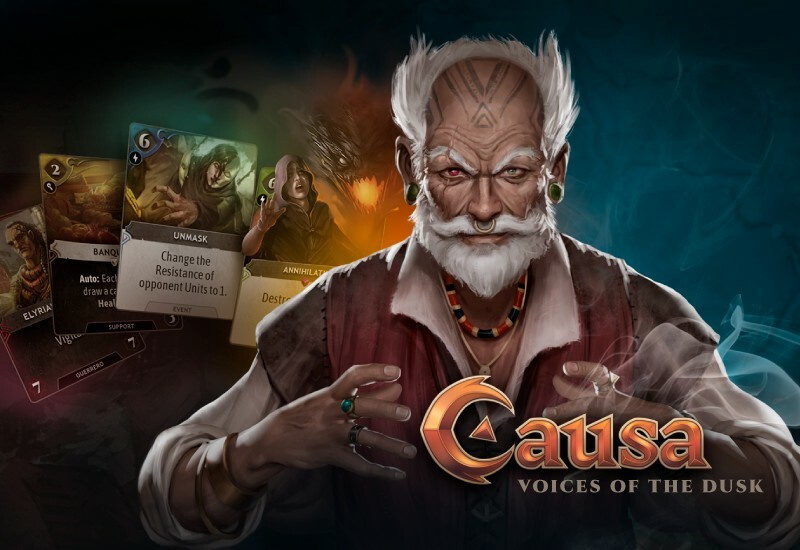 Causa, Voices of the Dusk is a Free-to-play multiplayer collectible card game in which players assume the role of powerful Leaders struggling to make their faction's ideals prevail in a vast and exotic fantasy world. In its Duel and Story Mode, the game presents a dynamic gameplay with unique game mechanics. Players draw up to 4 cards each turn. They may 'dedicate' (sacrifice) cards to their Cause in order to play increasingly powerful cards, but also 'require' (play) cards from those they previously 'dedicated'. Furthermore, the game allows different paths to victory: players may attack their opponents' Resistance directly, or indirectly by exhausting their decks.